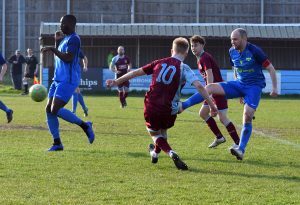 Although our Hellenic League, Premier Division status for 2019/20 isn’t yet mathematically certain, a 2-1 win against Binfield on Saturday has taken Tuffley Rovers to the brink of safety. When a Mark Pritchett foul, moments before the end of the first half, allowed Josh Howell to give Binfield a 1-0 lead from the penalty spot, things weren’t looking too good for Rovers, but Warren Mann’s goal, after his initial penalty had been saved, and a first Rovers goal for Will Dawes, proved enough to secure three points to take the first team to within touching distance of safety, after a campaign that started so badly. Alongside the Hellenic League result, the Reserves made it 11 games unbeaten, as they saw off Upton St. Leonards 3-1. 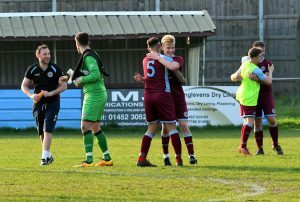 The game was made all the more memorable because there were first ever Gloucestershire Northern Senior League goals for Under 18s players Niall Priday and Ryley Mace, with those goals added to a Will Emery effort. That result took Rovers’ reserves fourth in the Division One table, with the next game against title challengers Chalford, who sit one place higher. 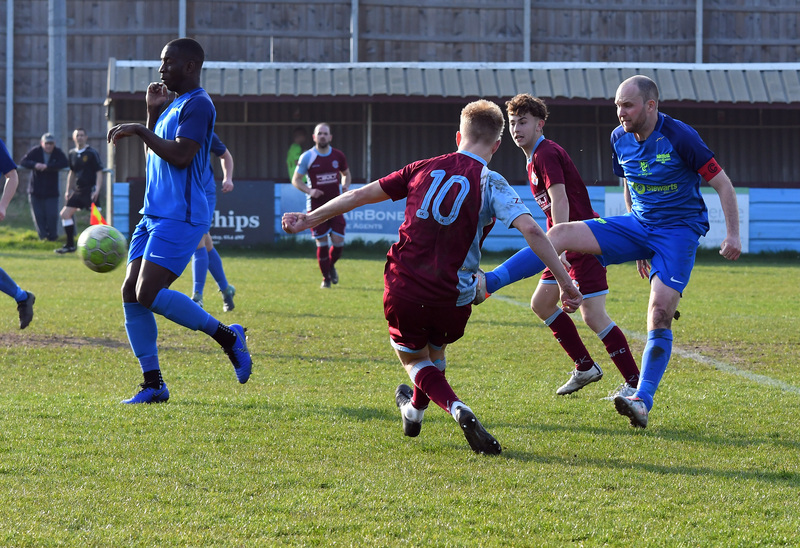 Unfortunately, the worst result of the weekend came in the form of the Thirds’ 6-0 defeat at the hands of Kingsway Rovers, but the other Stroud League results were much better! First, the Fifths ran out comprehensive winners against Sharpness 3rds, with a brace apiece from Charlie Agg and Paul Bayliss taking Will Cronshaw’s side to a 4-0 win. In the other game, the Fourths came back from 3-1 down to salvage a point from their final game of the season; Scott Morgan netting a hat-trick in the 3-3 draw. So, three wins, a draw and one defeat make for a pretty good weekend. A damn good weekend, as they go.